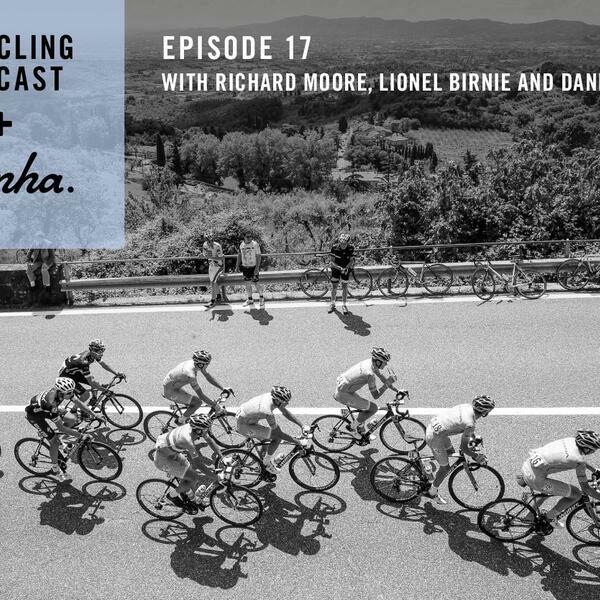 First, Richard Moore and Lionel Birnie meet up in London for the first time since the Giro d'Italia to introduce the episode and briefly discuss the weekend's inaugural and innovative Hammer Series race. (There'll be more on that when Daniel Friebe returns to the podcast next week). We also get the verdict from Tao Geoghegan Hart, whose climbing, sprinting and team time trialling went a long way to giving Team Sky overall victory. Then it's time for another episode of Lunch With. Lionel Birnie met up with Paul Watson in Milton Keynes a couple of months ago. Watson may not be a familiar name to everyone but his is an extraordinary story. He was part of the British ANC-Halfords team that rode the 1987 Tour de France, although Watson admits he burned out before he even reached the start line in West Berlin such was the heavy schedule of racing that spring and early summer. Watson was a talent (it's tempting to wonder how he would have fared had he been born a couple of decades later) but he found the life of a professional cyclist abroad challenging. After a year with the Belgian Hitachi team, and a controversial newspaper interview, he found himself unable to even take out a British racing licence so headed to the USA and the fledgling mountain biking scene. It's fair to say he's had a love-hate relationship with cycling but last year he was back on the bike and racing. He won a masters age group world title in Belgium last summer before a terrible accident led to multiple operations and a long road to recovery.